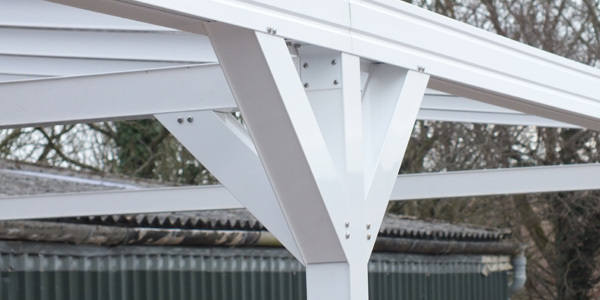 We produce and supply lightweight polycarbonate canopies, canopy kits & free standing carport kits in the UK to both domestic and commercial customers. 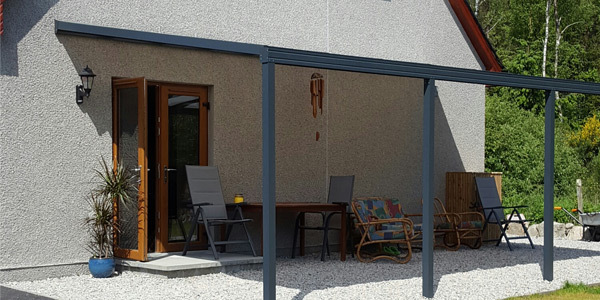 The Omega Canopy Range comprises a number of Canopy Styles and sizes.The first Lean-To style canopy in 2012 was the first in the range and has been joined by the Glass Clear Lean-To Style Canopy and three free standing canopies/free standing carport. 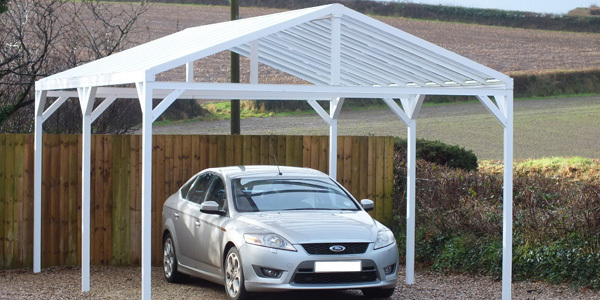 Our aluminium canopy range and DIY carport kits will continue to evolve with new ideas and new accessories. 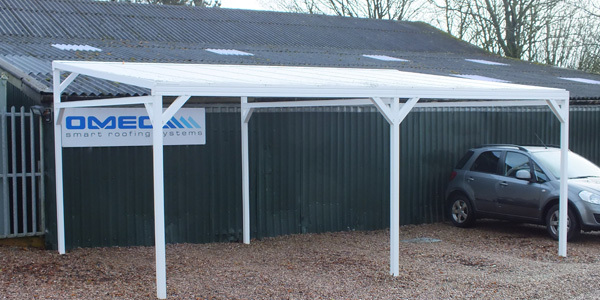 Contact us to request a quote for our self assembly carports or any of our products on 01769 574426 or visit our online quote form to request your quote via our site today. 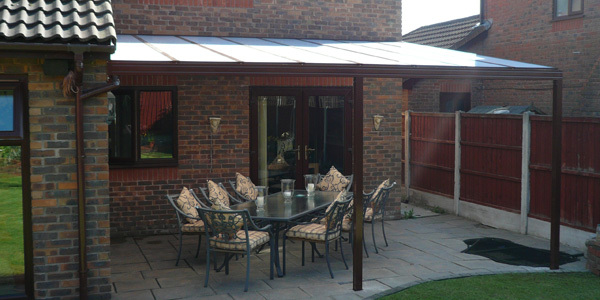 If you would like to install Omega Canopies contact us: Omega Smart Canopies on 01769 574426. 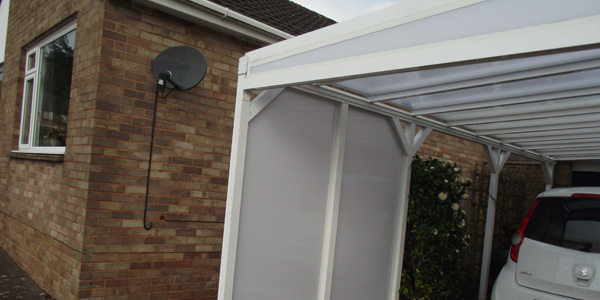 We have a long history of designing and installing a wide range of polycarbonate canopy kits and canopy solutions for a variety of requirements including diy carports, verandahs, walkways and caravan ports. 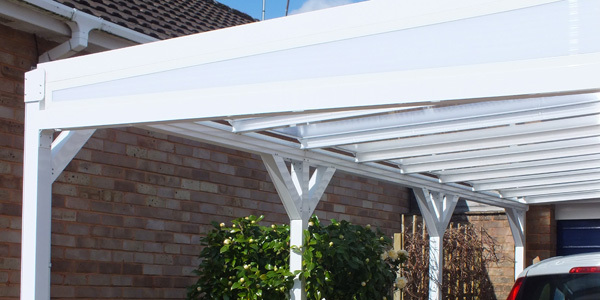 We are happy to ship throughout the UK and have many years experience of selling canopies and carports for the domestic market.